Great entrepreneurs aren’t born, they are made. They took the time to hone their skills and didn’t stop looking for ways to polish their abilities. Mastering any skill is a long and hard process. And the minute you think you’re an expert, another update comes along. That’s why it’s important for every entrepreneur to continue learning and exploring. This week on Five Tips Tuesday, we’re giving you tips to improve your entrepreneurial skills. Check out the best ways to manage your to-do list. Improve your self-discipline with the help of some tips. Learn to manage your employees with difficult personalities. Find out how you can hire the right talent for your startup. And last but not the least, discover how to use a game-changing framework for staying top of mind with your audience. It’s easy to get overwhelmed by the vast number of tasks you need to do every day. Sometimes, when the day is too busy, you lose track of the important tasks and forget to accomplish them. Thus, making a to-do list is significant. It keeps you organized and focused. It can also improve your memory and productivity. There are countless apps that can help you create a to-do list. It doesn’t matter what you use. What matters most is having a reliable system that can help you focus on the important tasks. What kind of system? To find out, read how 10 CEOs manage their own daily and weekly task lists. Whether you’re targeting that ideal weight or a business goal, a healthy dose of self-discipline is what you need most. Maintaining self-control is hard. The temptation is always around the corner. Luckily, self-discipline is a muscle you can exercise and strengthen. Check these techniques on how you can improve your self-discipline. Some employees are such pain in the neck. There are workers who have difficult personalities. They can cause chaos and tension in the workplace, even distract you. There are various kinds of dangerous work personalities. But there are three types that outshine the rest. The Narcissus, The Venus Flytrap, and The Swindler. Here’s how to recognize these employees and minimize the damage they can do to your company. Recruiting talent is the first step to growing your startup. There are many hiring strategies and hacks that can help you find the right people. Before you search the internet for tips, you need to establish a recruiting brand first. Having a clear set of meaning, mission and values will bring you the people with fitting skills. Here are the five questions every founder should ponder to succeed on startup recruiting. Business is always about relationships. Your consumers are what matters most. Creating meaningful relationships with them will bring success to your company. This winning approach is what John Hall used to build Influence & Co. into one of “America’s Most Promising Companies.” In his book, Top Of Mind, Hall shows how to use content to keep your brand front and center in the minds of your audience. 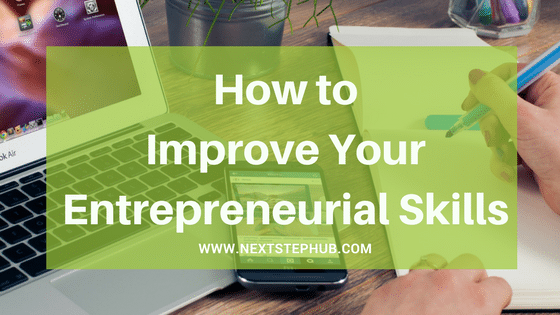 Do you have other tips for improving entrepreneurial skills ? Tell us in the comments.